I can’t believe I’m actually typing that, but reality has hit. While our baby girl still has six years before she leaves for college, our eldest son is officially an adult, as in, on his own and managing incredibly well without us adult. 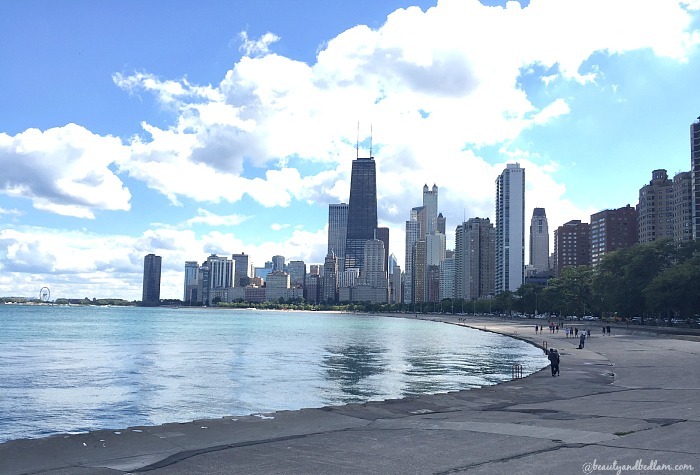 You may recall from my “Whirlwind of a Summer” post that he graduated from college in May and has since moved far away from his NC abode into a downtown Chicago apartment. It’s such a fun, yet different, relationship we are building and I love it. I’m sad because I’ve reached a whole new level of missing our three sons, but my heart can’t help but celebrate how well our eldest is doing. If you follow me on Instagram, you know that he’s crushing the meal planning skills better than most moms I know, he’s followed my grocery advice on shopping at Aldi, our phone calls include cooking dialogue, as well as his budgeting like a baller updates. Although he has declared that “produce is a budget buster.” Yes, dear son, it is, but you need those greens. A few months ago, one of his calls included “need to know” information about a good credit score, including his own. He looked it up, you can do it for free thanks to Discover Credit Scorecard and wanted it to fall in the good score (range 670 – 739 on an 850 point scale.) As someone who has written about debt-free living for years, my rub between needing/wanting a good credit score and our desire to be completely debt free (which then completely drops your credit score) has routinely been a topic of conversation. While I’d love to live in a world where everyone can pay for college with cash (I’ve written about that here), graduate with no debt, and then go on to buy their car, house and all amenities with cash, that’s not a reality for most Americans. The reality for our 22-year-old son is that a good credit score matters. 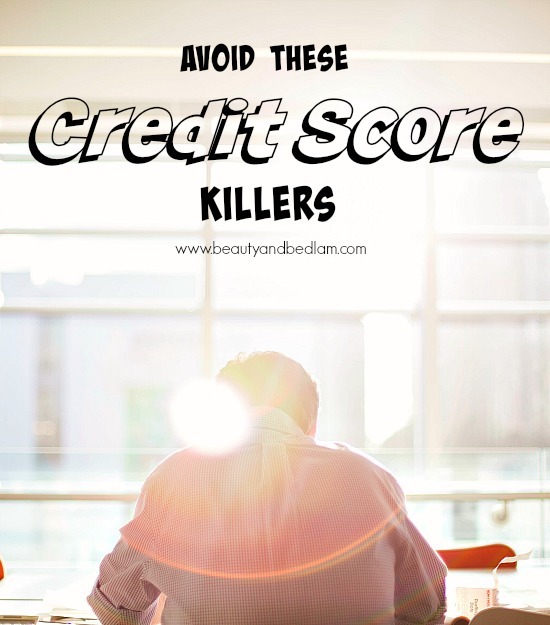 The reality for you is that your credit score matters A LOT! In fact, your credit score can be one of your most valuable assets since it plays an important role in your financial future. Without good credit, approval for your first apartment may not occur (yes, the landlord checked their credit score before approving the rental), let alone receive a mortgage for your first home. It drastically affects the rate of interest you pay on nearly all your loans because the better ones credit score, the less interest you will have to pay. A poor credit score means either no loan approval or one that you might not want to take due to the insane amount of interests accrued. Our son still begrudges the fact we wouldn’t co-sign his student loan (yes, part of our “skin in the game mentality” that I wrote about in “Paying cash for college”) and therefore his loan rate was higher due to his credit score. Last week a random text showed up in our family text group. All it said was, “My credit score is 746. Excellent.” He hadn’t let go of that conversation and was able to determine his credit score easily and in minutes. You can do that right here. I’m so proud of him for being conscientious about this, but I also want him to avoid future mistakes. Hands down, this is the worst way to kill your credit score and the most noted. Lenders want to be assured that you are responsible enough to repay your debts on time and if you cannot, it hurts you every time. Here’s the hard part to swallow: not only does it hurt your credit, but it’s cash out of your pocket. The interest on late payments adds up to a lot of extra cash. If you can’t pay your debt on time, every time and in full, you should not be borrowing money. Only one or two missed payments can affect credit score and if it continues to be a pattern, especially if it’s consumer debt (i.e. things you don’t “need but want,” stop using credit until you can get your spending and payments under control. The poor Walmart cashier had no idea what he was in for when he kept pushing me to sign up for their credit card. Typically, I just turn the offers down and go on my merry way, but this time, I couldn’t let it go. We already had been having an enjoyable conversation before the offer, but now he ended up on the receiving end of a five minute financial health discussion. At the end he actually mentioned, “Wow, I didn’t know any of that. That was interesting.” If you take “advantage” of all those “sign up for our credit card at checkout and receive 15% off this purchase” offers, it may damage your credit score, not to mention the temptation to buy more than you need. One or two general purpose credit cards are all that you need, but only if you charge what you pay off each month. I’ve written about this for years and I this is critical to financial health. Search my archives for more detailed advice. While those who use credit cards responsibly can benefit from an increased credit score, many Americans are in debt and do not have the income to pay their balance in full and on time. If this happens, opening another form of credit is not the answer. Spending below one’s means is the solution. This is an easy one to overlook, especially when we’re in a hurry. Just like it’s critical to look over your credit card and bill statements to make sure there are no monthly errors, it’s even more important to check your credit report annually. The Federal Trade Commission reports that 1 in 5 consumers have errors on at least one of their three major credit reports. If a mistake it caught, immediately look into the problem. A friend of ours was horrified to find out that her identify was stolen, which grossly affected her credit score. She found that out in an annual credit score check. Discover’s new Credit Scorecard provides your FICO® Credit Score for free along with a personalized credit profile highlighting some of the components that make up your score. Anyone can access Credit Scorecard even if they are not a Discover customer. It’s important to get a baseline by regularly checking your credit score and doing a comprehensive check of your credit report annually. Phew – that’s a lot of information and it all stemmed from our son’s phone call. This is a sponsored conversation written by me on behalf of Discover Financial Services. The opinions and text are all mine. I always enjoy your posts on adult children. I thought we were the only ones who didn’t cosign on student loans, guess there are others out there. Whew, so glad we did not. Both of my young adult children are debt free. I think it makes a difference where you are seeking an apartment. Some cities don’t require a credit score. Apartment complexes in some areas will take proof of employment over a period of months. When moving to a college town, my son found that he did need a credit score, but didn’t have one. He asked us to cosign the apartment for him and we did not as he was going to have room mates that we didn’t know, leaving us liable for the behavior of strangers. In this case, he paid rent for months in advance which he had saved. He now has a record of apartment rental, but still does not have a credit score. Anyway several ways to work around the cosign and credit score issue. Mary, you and I are in the minority with the cosigning, aren’t we? Many parents wouldn’t agree, but we have so many friends whose credit is completely ruined due to choices of their children (or like you mentioned, room mates you don’t know.) While we completely trust our son, loans can be part of his future for ten years and that shouldn’t be on the parents. The fact your kids are debt free is something to celebrate!! WOW! Great job, Mom!! PRaying that for our son too. he’s working hard to get his loans paid off. Hmm. The credit system is a broken sham used by debt companies to manipulate people into thinking they need debt. You don’t. You can work to buy a car , you can work and earn scholarships and go to community college and go o an affordable collage and split rent and graduate debt free- hundreds of thousands of students are doing so. You can buy a house without a credit score – either save up the money you would be paying on credit card, car, and loan payments (by not having any debt) and buy a house with 100% down or get a 15 year fixed rate mortgage with tons and tons of mortgage brokers who will manually underwrite. This is sad. The number one thing that builds a barrier to Americans building wealth is the belief that they need debt – and you’re feeding right into it. Debt is dumb, it kind of sort of sounds like you get that, but the credit score is the trap to get you into debt. Sadly, you’ve taught your bright son to compromise his future of wealth building and massive generosity for payments. Sad. I think you may be new to my blog and if you read through my posts, you will see that I agree with 99% off what you wrote here. I do not buy into building up debt in any way shape or form and am completely about being debt free. I say it over and over again that if can’t pay off your payments in full and on time, credit cards should be cut up. Using a card is not the same as debt. WE are 100% debt free except for our mortgage. We do have credit cards and even in my posts I say that people spend more with them than paying with cash, but we pay them off in full every time. While everything you have said above, I agree with , the reality of a child coming out of college with enough cash isn’t most people’s life. I wrote about paying cash for college, and that is my desire for all of our kids, but unfortunately, I’ve realized that while you can steer an 18 year old child to do everything above, it doesn’t always happen exactly how you know is best. Read my post, you’ll see that I agree with your above, but he didn’t make all those choices. So yes, he has college debt now. That is is and is working hard to pay those off immediately. He has a credit card that he’s paying in full every month. Absolutely no apartment manager in downtown chicago will rent to two 22 year olds with no credit score (and yes, they’re sharing rent) and they don’t have savings enough at this time to pay cash upfront for that rent (as most don’t have cash to pay for a mortgage.) I would love it and it would be wonderful, but not a reality in downtown Chicago in any way. Thanks for your comment. I agree with you. I truly do, but as I now have kids coming through this, it’s easier said that done. Count me as another one who will not co-sign for my kids, or anyone else. For us the teenage years were a trial- they took after their father in that respect. 😉 So college after high school was not the best option for them. Instead they moved out soon after turning 18. We live in a rural area with not a lot of opportunities for young people so they moved in with friends families and spent some time living with grandparents in the city. Now at the ages of 22 and 20 they both have been working and fully supporting themselves with the exception of health insurance which we continue to provide. I am so grateful that they took in the financial education I worked so hard to instill in them, especially the last few years they were at home. My daughter recently had a brief period of unemployment. She had been living below her earnings and saving via an app which analyzed her spending and automatically transferred “extra” money into savings. As a result she had an emergency fund to see her through until she found another job. My son had planned on entering culinary school, but, “I am not ready to be broke yet and $$$$$$$.” For now he is working at a job that he hates, but I am proud of him for sticking it out and won’t quit until he has a better job lined up. College and/or trade school is in the future for my kids, but in the meantime they are getting a real world education while they decide what their passions are and how they will achieve their dreams. @Kathryn, Good job Jen & Kathryn! One of my children stayed at home, worked and went to a community college then transferred for her final years of nursing school at a 4 year university. When she left home, her savings and the little bit we saved for her was how she made it through. She began to spend like her fellow students who had a safety net from loans cosigned by their parents. They never had any reason to change their spending habits! She soon found herself draining her account and found a need to budget. She did require a small loan which she was able to get in her name from the financial aide office. For graduation and final lab fees she asked us for a small loan. By that time we were sure that she was going to finish. We asked her for an excel sheet of expenses and drafted a loan agreement where all parties signed. All loans were paid within the first year of work. The lessons have stuck she’s maxing out her 401K and her ROTH-love it when the lessons stick! My son tried college, but soon found that it wasn’t for him. He worked, saved money while at home then moved away. He found an apprenticeship with an electric company. The company offers free classes and books for becoming a journeyman electrician. He’ll test for his journeyman’s next Spring. He’s planning on getting his master electrician license or going to trade school to specialize. If he chooses to go to school, we’ll extend to him the monies we saved for him and he’ll work part-time in order to get through school. He’ll be working in a trade which will get him a decent hourly wage. We will ask him for an excel sheet of expenses as well. My advice to them was always, get into something where folks are calling you…….rather than you calling them for work. The hardest part of the whole journey has been having to continue to be “parents” and watching them struggle. The most gratifying has been watching them navigate difficult waters and watching them succeed on their own. Yes, I agree with you Jen, parenting young adult children is exhausting…..but what a wonderful season. Exactly!! REal world educations can often teach you so much more, especially if they’re not sure what they want to do. Sounds like you have raised some amazing kids, who are making wise choices. Not that you’re looking for my approval, but I fully support not co-signing your son’s student loans even though my parents did for me. My loans are paid off 100% and my husband had a full ride scholarship. My older brother, on the other hand, was not so frugal or responsible with his finances (or school, requiring an extra year!). Now my parents get phone calls all the time from banks, and my brother always has an excuse. It irritates me that my brother, 30 years old, would do this to my parents. And it’s selfishness because he and his wife definitely don’t go without. We would have never guessed that he would end up behaving like this. College can change people, and sometimes it’s not for the best.